I don’t know about you, but I love munching on cashews while I’m Netflix-ing. These crunchy nuts aren’t just delicious, but they also contain low fats and oleic acid, both of which are healthy for the heart. Packed with fibre, protein, magnesium and antioxidants, cashews lower blood pressure and improve bone health. As far as its beauty benefits are concerned, they’re rich in vitamins and minerals like zinc, copper, vitamin A, C and E which are beneficial for both your hair and skin! For more deets, here are a few beauty and health benefits of cashews. Contrary to popular opinion, consuming a calculated amount of cashews actually does great good to your body! It has high levels of magnesium, iron, copper, zinc, manganese, and phosphorous, all the nutrients that are a little difficult to procure elsewhere! Nutritionists from the Dole Nutrition Institute suggest that cashews are rich in phytosterols, that significantly help prevent the body from absorbing LDL, the bad cholesterol. Did you know that cashews are rich in Omega 3 fatty acids? It is this very factor that boosts the metabolic process which leads to the burning of excess fat. To help you lose those extra pounds, make sure that your consuming cashews that are raw and unsalted. After all, they are a high fibre snack and are super filling. Eating them twice every week will ensure that you stay fit and healthy. 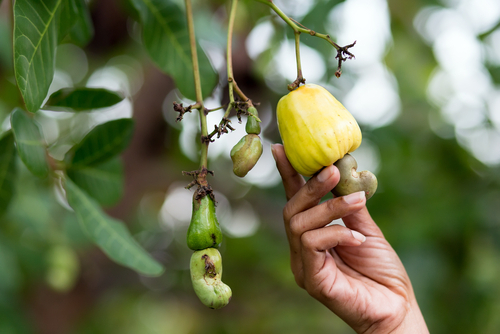 If you thought bananas were the only natural source of happiness, you haven’t heard about cashew nuts yet. These babies contain an amino acid known as L-tryptophan and when your body breaks it down, it extracts serotonin and niacin. This property will not only promote a sense of well-being but also calm stressed nerves. During the day, our eyes are constantly fixed to the screens of televisions and laptops. This constant exposure can damage eyesight. However, cashews have a solution to that problem. Zeaxanthin is a powerful antioxidant pigment that gets absorbed into a retina and bloodstream with ease. When this happens, a protective layer is formed over our retina and prevents the sun rays from damaging the eyes. Did you know that cashews contain two dietary fibres namely, oleic and palmitic? It is these very fibres that make digestion a smooth process. Since it synthesizes nucleic acid, food gets easily digested without causing bloating or gas. 5. Healthy Nerves & Bones For The Win! Since cashews are loaded with magnesium, your bones will be taken good care of. This property also promises to deny entry of excess calcium to the nerve cells. Which as a result, calms and relaxes muscles and nerve cells. If a tab is not kept on calcium levels, they could contract muscles and cause exhaustion, headache and a rise in blood pressure. Cashews do more for you than just being good for your health, they are super good for your beauty as well! Every girl wants smooth and wrinkle-free skin - cashews can make that wish come true! In fact, the oil extracted from cashews are packed with zinc, magnesium, selenium, iron and phosphorus. Since these nuts are also a rich source of protein and antioxidants, it improves the skin's complexion and prevents it from aging. Not to mention that they have proanthocyanidin which helps fight tumor cells by restricting its growth. Doesn’t that sound terrific? For long, shiny locks, slice the nut into fine pieces and sprinkle them over your fruit bowl and salads. The nut contains copper and helps promote hair growth. While they prevent your mane from premature greying, they also improve its texture by making it soft, bright and smooth. Stretch marks are formed when skin loosens up. Ideal for pregnant women, cashews are rich in vitamin C and that slows down the process of weight gain. If you know someone who is pregnant, recommend including these nuts in their diet. They provide the body with iron and prevent tissue damage that’s most likely to occur during pregnancy. Cashews are a rich source of antioxidants, which play a key role in fixing the damage done by free radicals in our cells. As we age, our body tends to produce a lot of free radicals, which start chipping away at healthy cells and cause signs of ageing to appear. Regular consumption of cashews helps your body to fight against free radicals, thus preventing aging. Ever wondered the secret behind healthy nails? Maybe it lies in consuming your daily dose of cashews! Cashews are rich in omega acids which are essential to maintaining a healthy nail bed. So take your cashews and stop worrying about your favourite nail art damaging your nails! 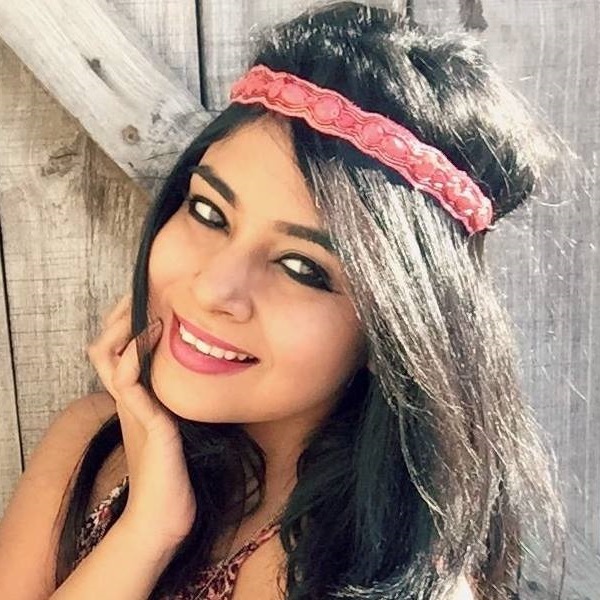 Check These DIY Beauty Recipes Out! We’re not just going to leave you hanging after telling you all about all the benefits of cashews! You can try these DIY beauty recipes and be assured of their superb beauty benefits! For a month, once every week, make a thick paste using almonds, cashews, milk cream, rose- water and turmeric. Blend all the ingredients well and apply the mask onto your face. Leave it dry for 20-30 minutes and wash it off after half an hour once the mask hardens. This mask will help brighten dull skin and make it supple. One way to nourish dry, chapped lips is to make a lip scrub using cashews and almonds. Grind the nuts in a grinder, add a teaspoon of almond oil and add a few drops of fresh rose-water. Scrub your lips using the paste for about 5-9 minutes. Wash the scrub off using lukewarm water. Why splurge on a commercial cream when you can make one at home using cashews from scratch? All you’ve got to do is add a handful of raw cashews nuts, half a cup of milk and a teaspoon of olive oil. Grind the ingredients in a grinder and use your fingers to scoop and spread the natural cream all over your face. The cream will exfoliate and cleanse your pores like a pro! Use this cream every day for positive results. You can also store the cream in an air-tight container in the refrigerator. While we have given you all the benefits of cashews, here are some common questions that we usually get from our users. So let’s break them down! How Many Cashews To Eat In A Day? Since one ounce of cashews contains 163 calories, which is only about 17 to 19 cashew nuts, we can safely say that you can easily consume about 5 to 6 cashews a day without piling on the calories! Not at all! Cashew nuts are totally safe to consume and are super great for your health! On the other hand, when it comes to their shell, we suggest you stray away from consuming it as it could be poisonous! 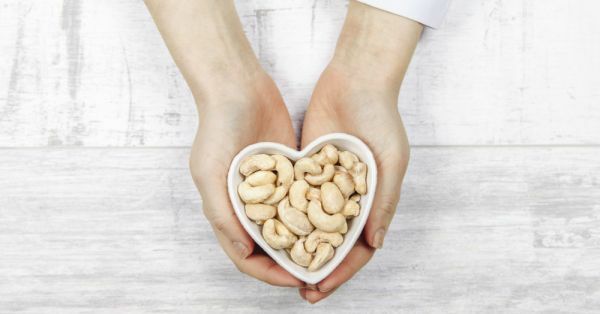 While cashews do contain fat, the reason why they are so popular is that they are ranked highly in their content of unsaturated fats, which are good for your body. Can Cashews Be Consumed For Keto? We suggest that moderation is the key here. While it’s perfectly alright to include cashews in your keto diet, it’s important that you don’t consume too much of them! As compared to other nuts, cashews might be difficult to digest for those who have a weak digestive system, in which case it could probably lead to flatulence. Can We Consume Raw Cashews? Most of the cashews that we consume are slightly steamed and roasted. Cashews in their truly raw form can cause you irritation, so it probably best that you don’t consume them. Now that we’ve answered your doubts, do make sure that you include this wonder food in your diet right away!